These four components are the essential elements of your marketing plan. You can produce different results from your marketing efforts by altering your strategy for each of these ingredients in the mix. It is kind of like baking a cake: the cake mix is primarily flour, sugar, eggs and milk. The final cake will taste differently depending on how you alter the amounts of mix elements, and which types of ingredients you choose (e.g., do you use regular flour or whole wheat, white sugar or brown, etc). Just like the cake, you can vary the end result by altering the amounts and types of mix ingredients. By using variations of the four components, you have the ability to reach different segments within your target market. 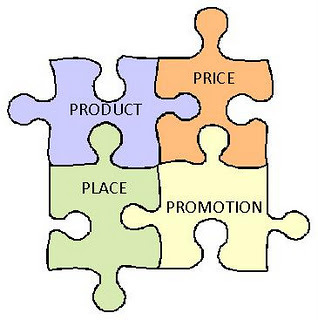 •your promotion communicates how your product solves the pain points of those target customers.